I know, I've been totally neglecting the blog lately. Not a whole lot has been going on and my cute little girl (who turns one next month!) has been keeping me pretty busy, so blogging hasn't really been on my mind. 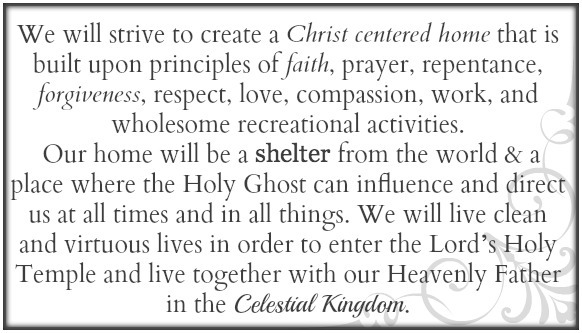 We hope to enlarge this mission statement and hang it in our home for everyone to see! It has already been such a blessing to be able to look over our family mission statement and adjust our lives so that we are living in accordance with it. 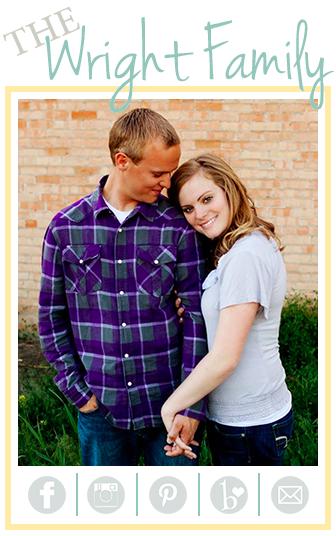 Have you guys ever thought about creating a family mission statement for your own family? What goals do you have for your family? This is SUCH A great idea. i LOVE this.